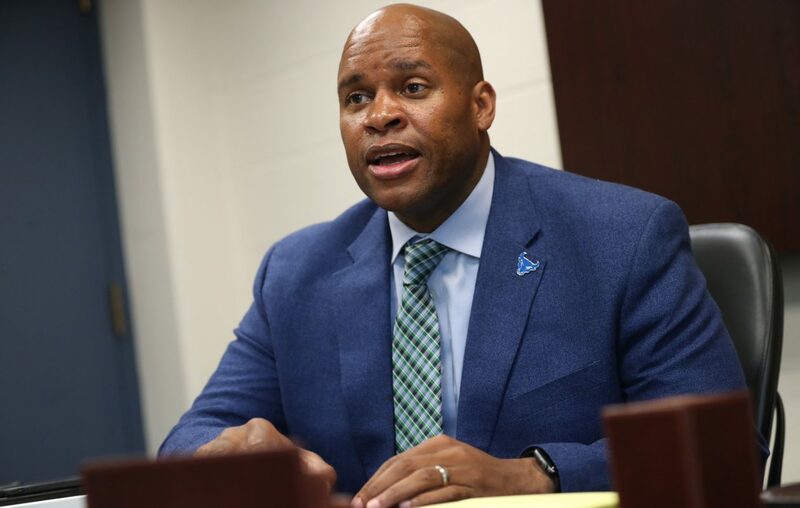 University at Buffalo athletics director Mark Alnutt was among those racing to Alumni Arena after ESPN mistakenly broadcast the NCAA women’s basketball tournament bracket hours before it was intended. The UB men and women are scheduled to play simultaneously. The No. 10-seeded UB (23-9) women will play No. 7 Rutgers (22-9) at 4:30 p.m. Friday at the University of Connecticut in Storrs, Conn., the same time as the sixth-seeded UB men play either No. 11-seeded Arizona State or St. John's in Tulsa, Okla., in the first round of the men's tournament. The game is scheduled to begin at approximately 4 p.m.
Alnutt said the school will need to work out the details for simultaneous radio broadcasts of each game. He was disappointed that the leak sent the women scrambling and ruined the suspense. But he chose to look on the bright side. UB has two teams in the NCAA Tournament, even if they must play at the same time. That’s not such a bad problem to have.